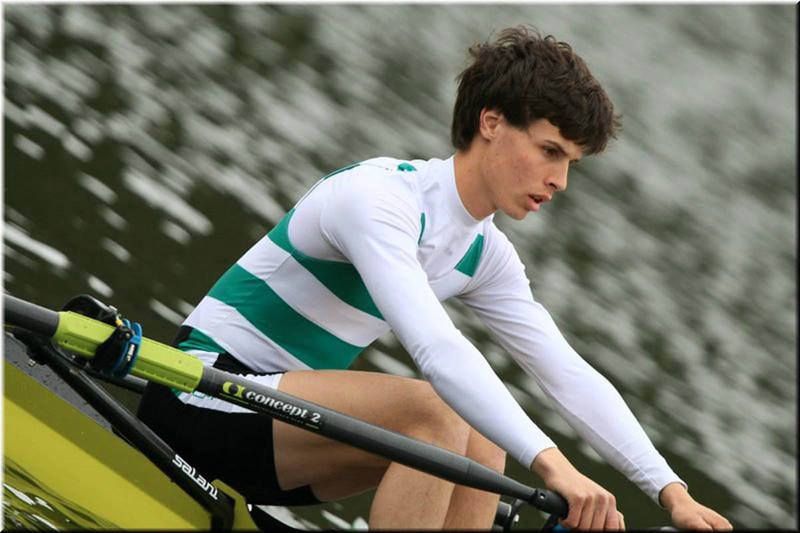 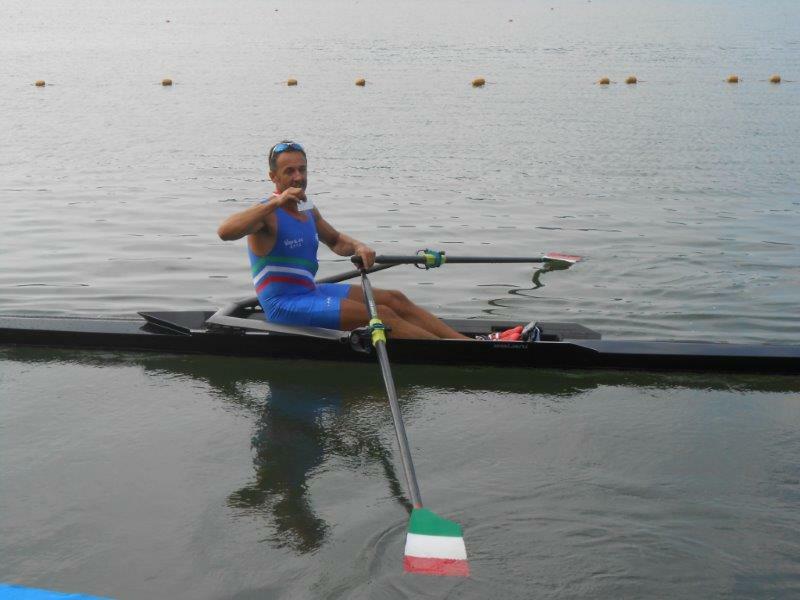 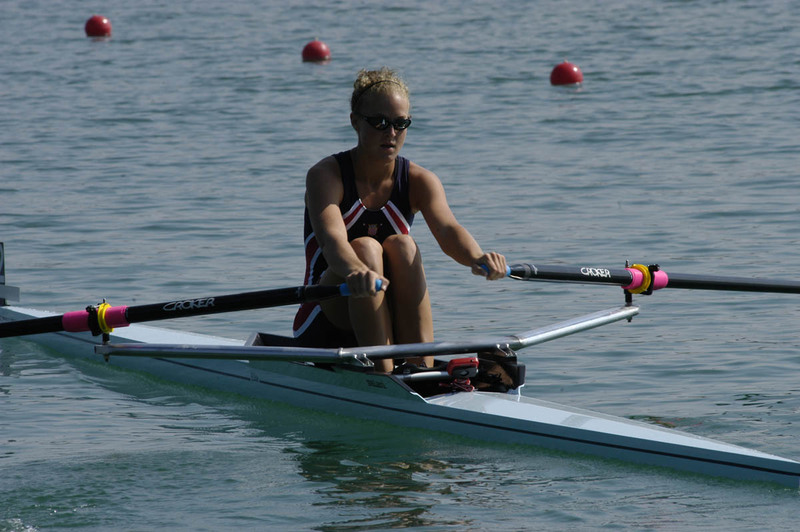 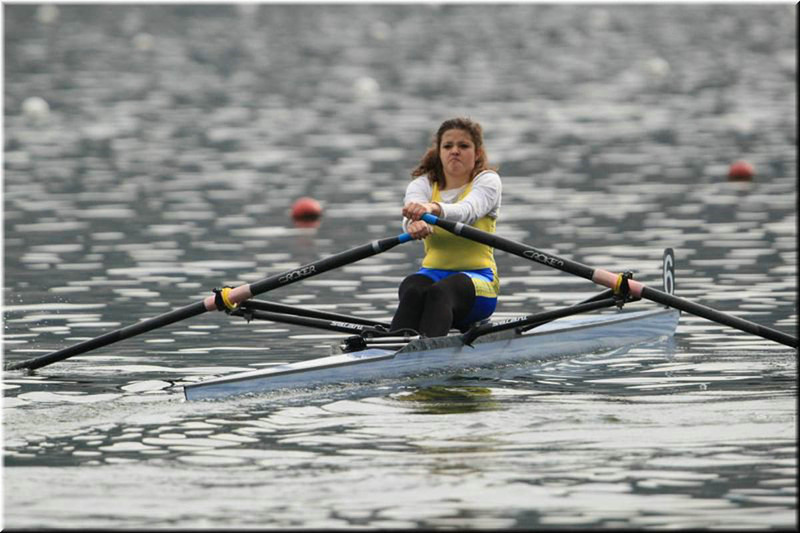 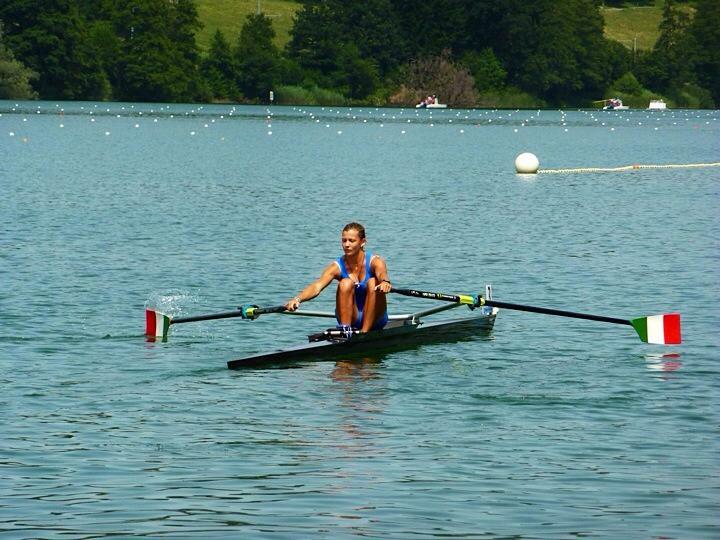 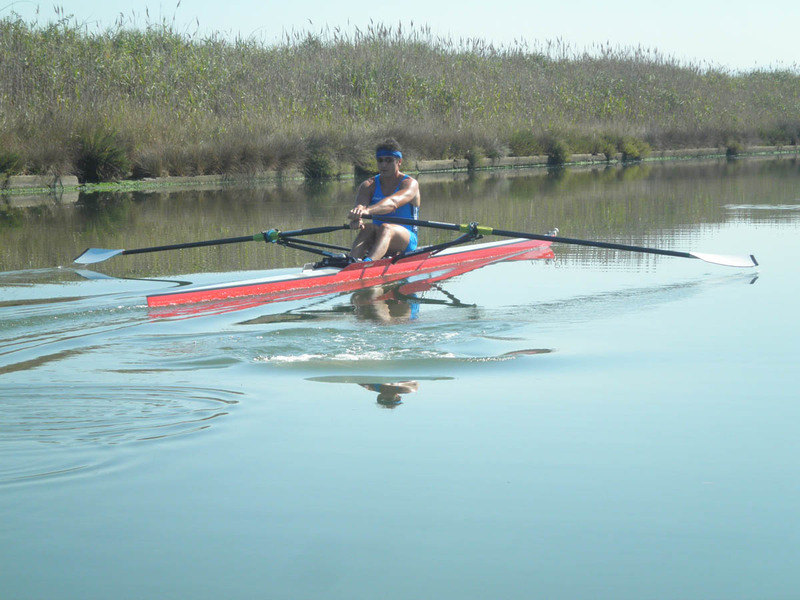 The hull of our Single Sculls (skiffs) is manufactured high quality carbon fiber and honeycomb. 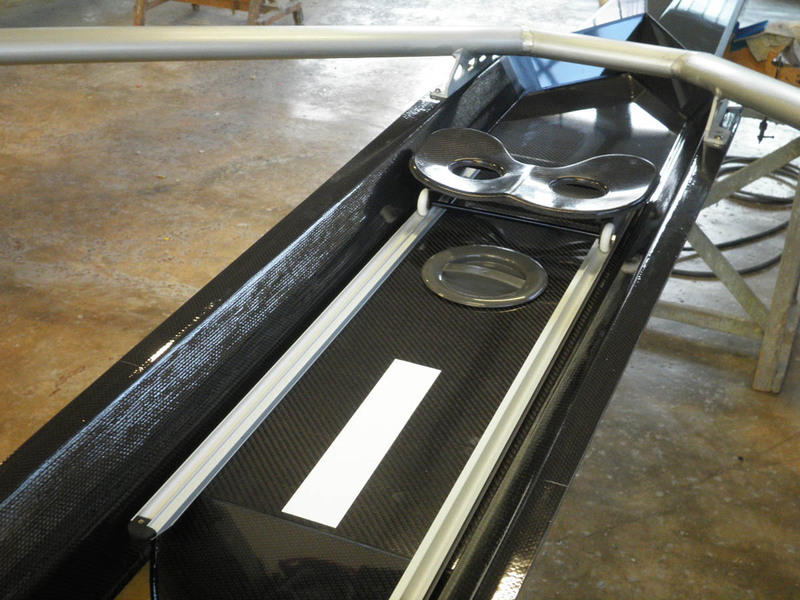 The rowing deck is produced using prepreg carbon fiber, vacuum and then and then heated in autoclave. 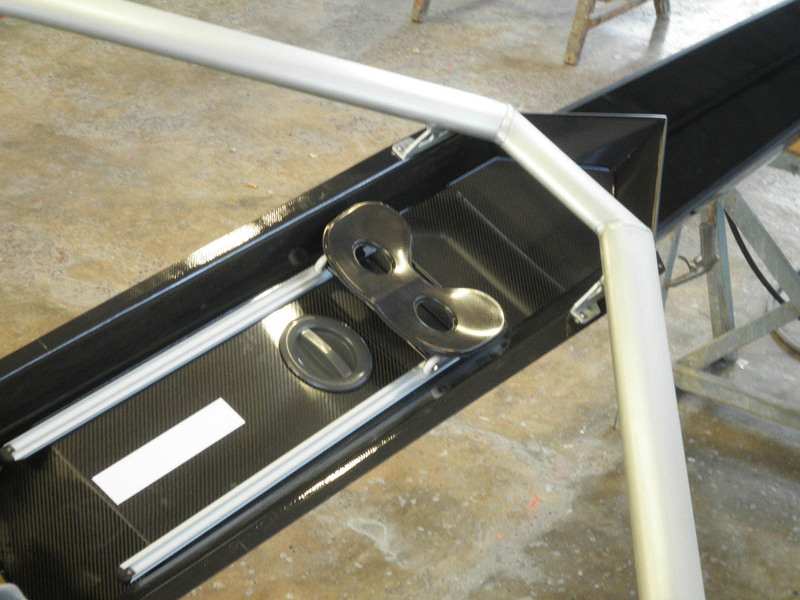 The internal elements of the boat, as the plate, the bulkhead are all made of carbon. 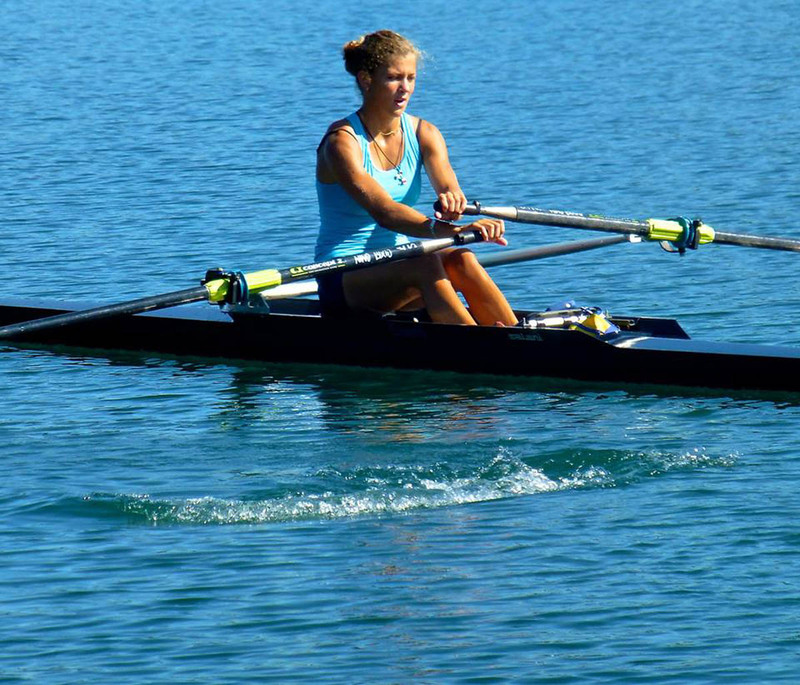 Weight and norms FISA GUARANTEED. 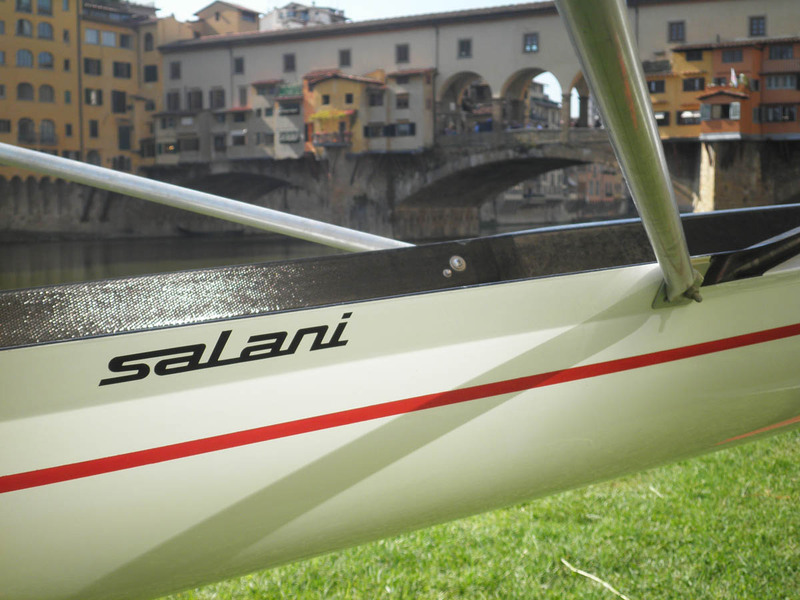 Salani is proud to present the latest series: the Pegaso (Pegasus). 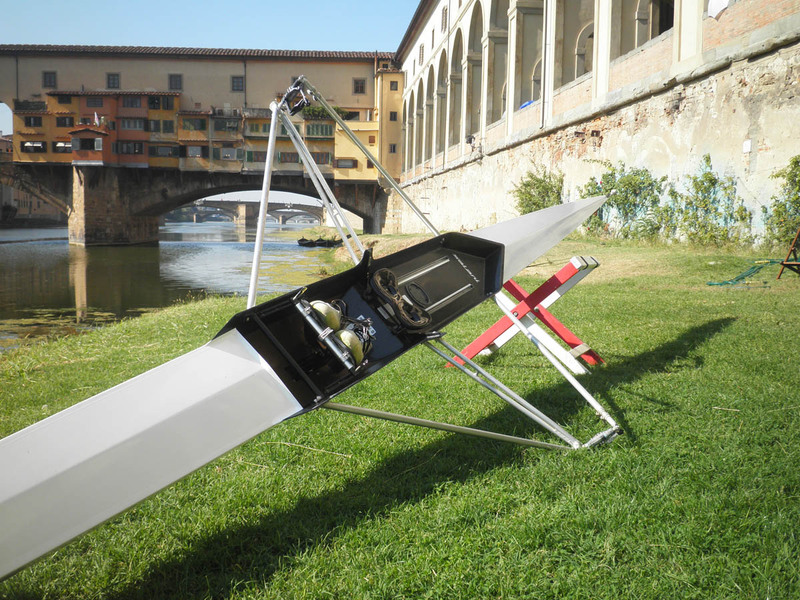 This series expand our fleet by with a bow mounted wing rigger. 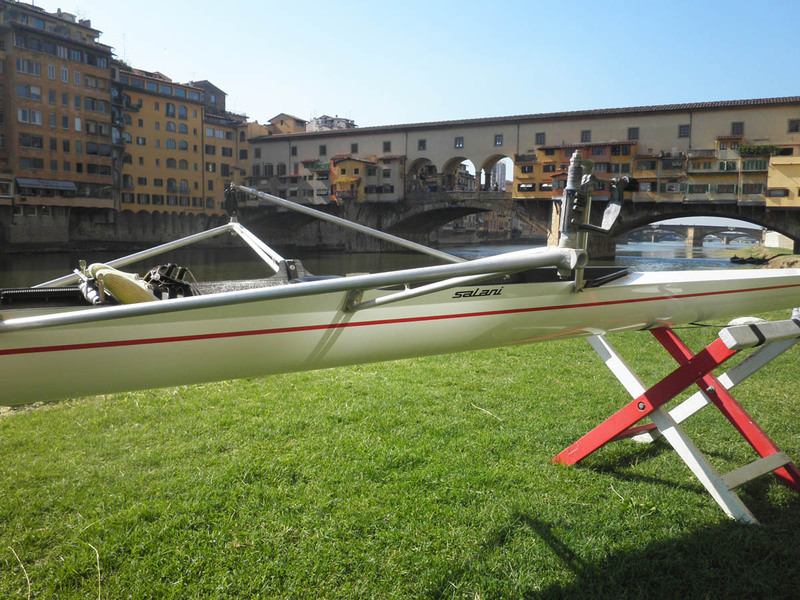 The same hull shapes and construction that can be found in the stern rigger version are available for the Pegaso series. 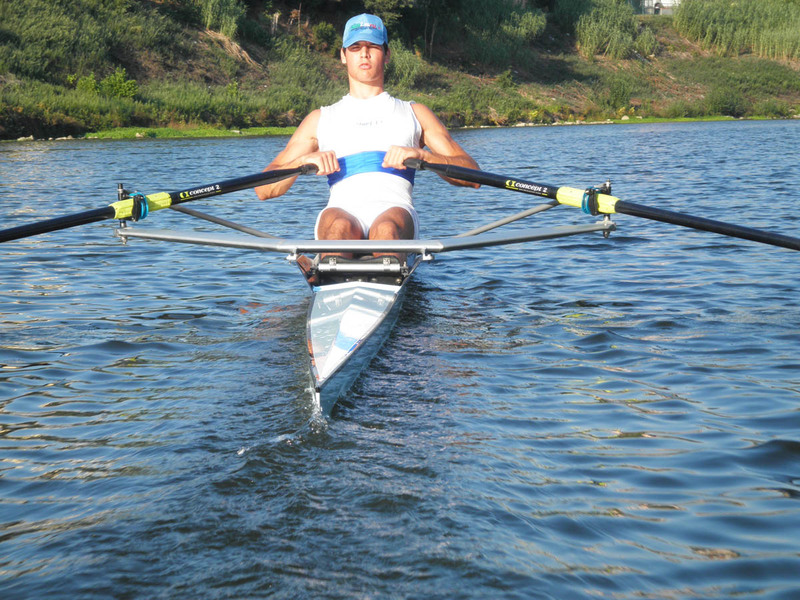 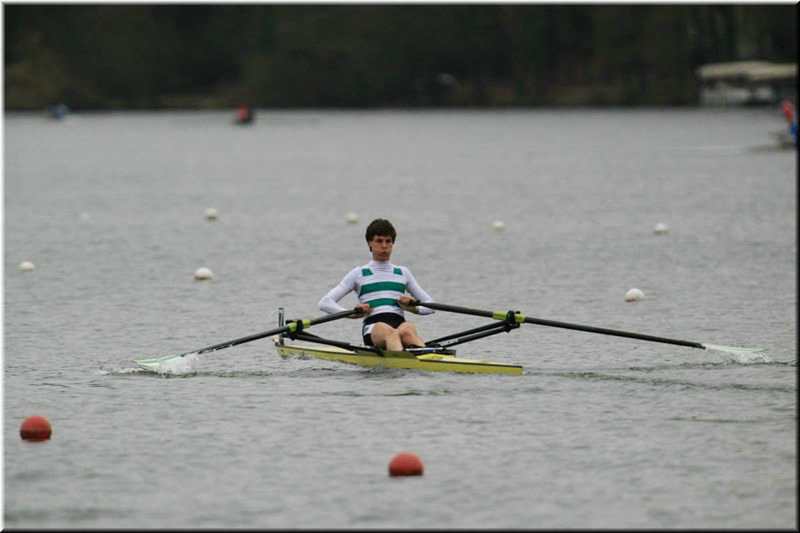 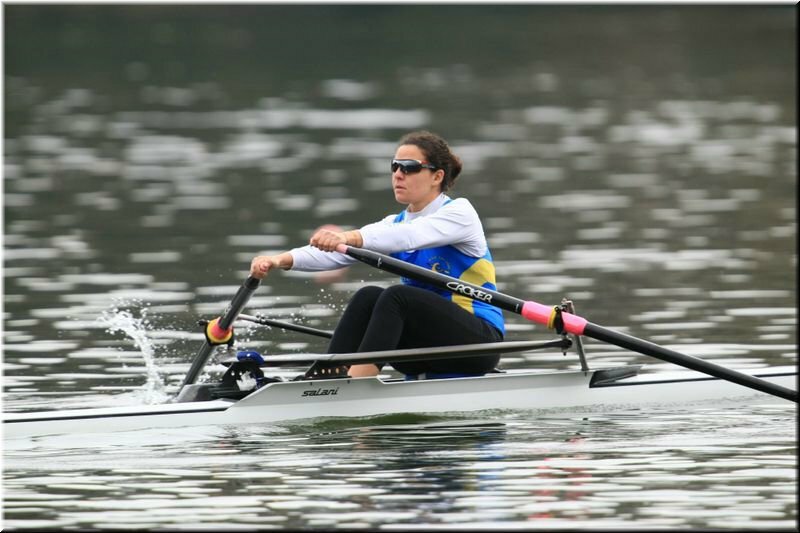 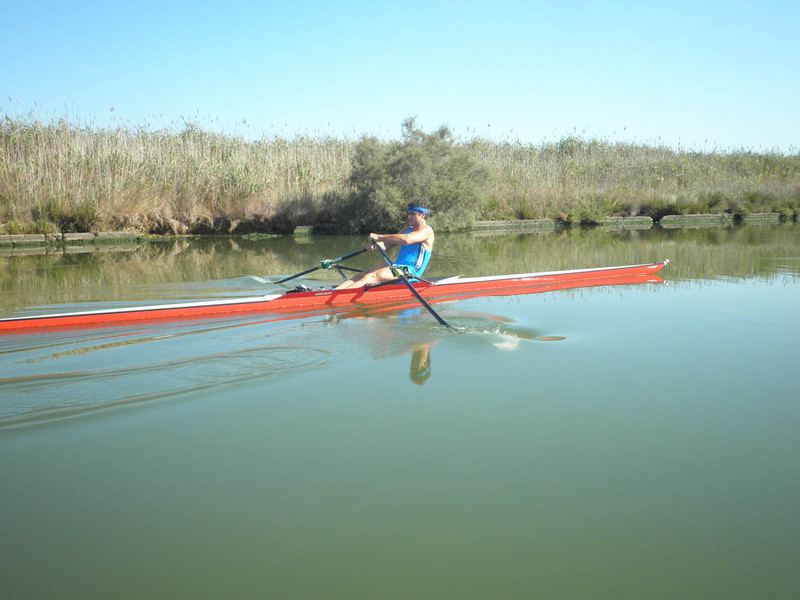 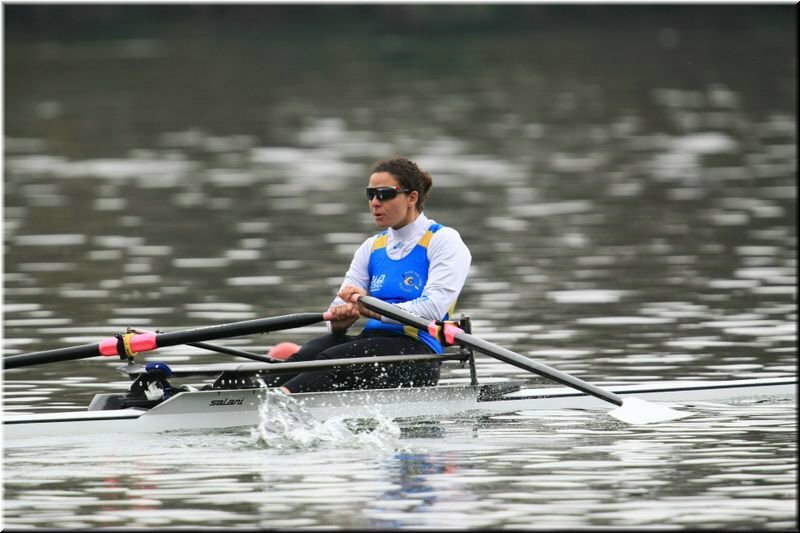 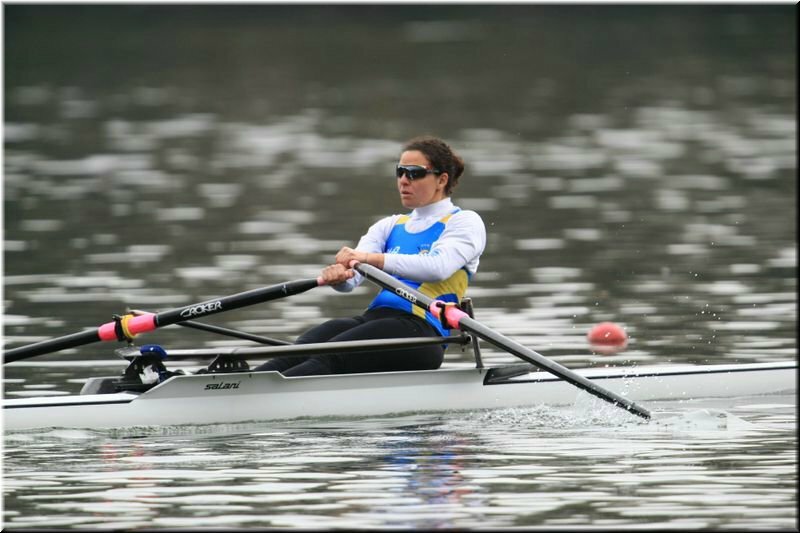 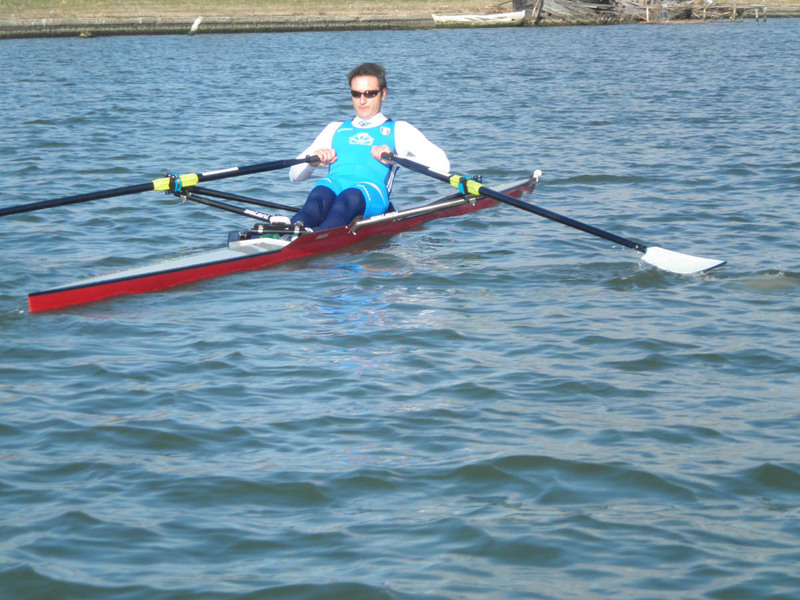 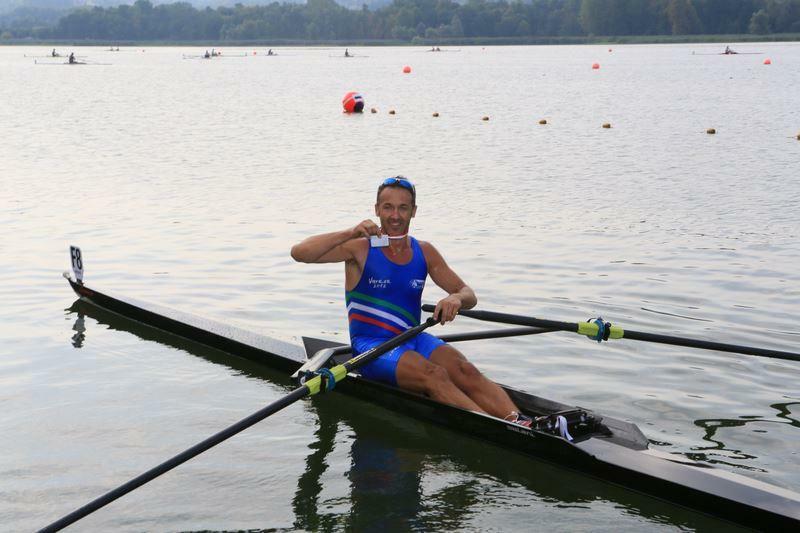 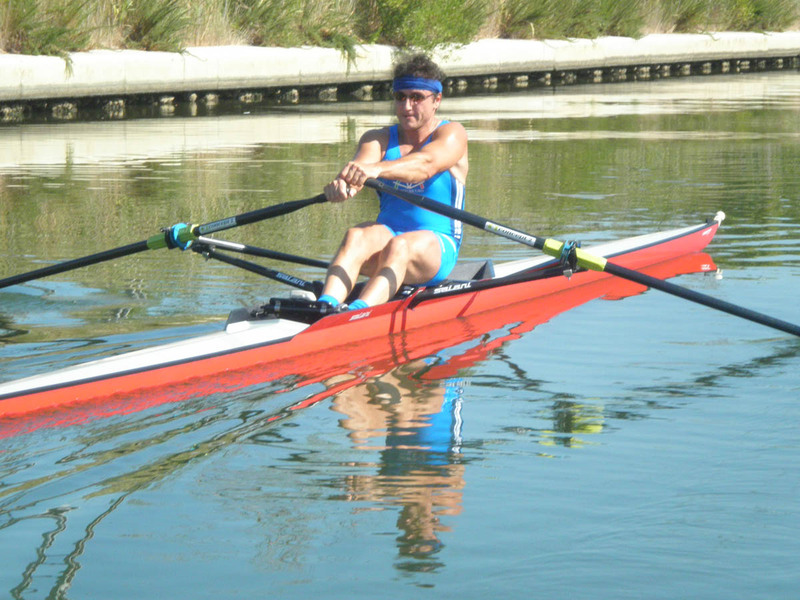 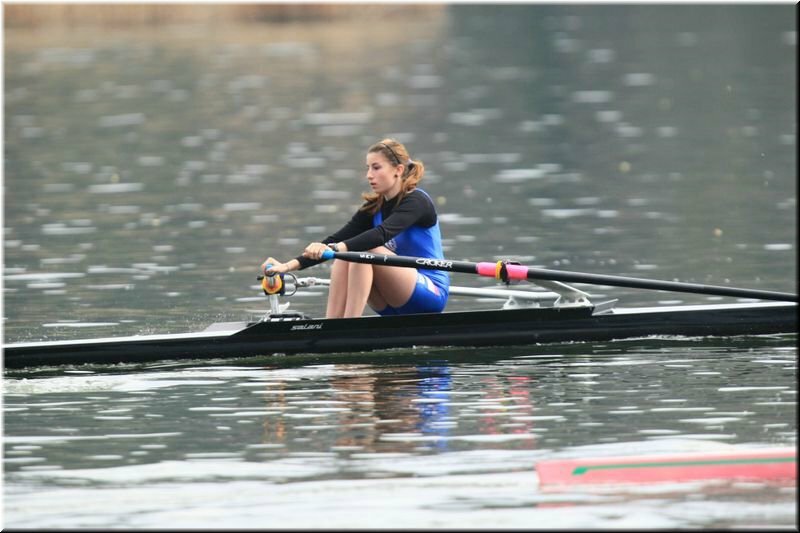 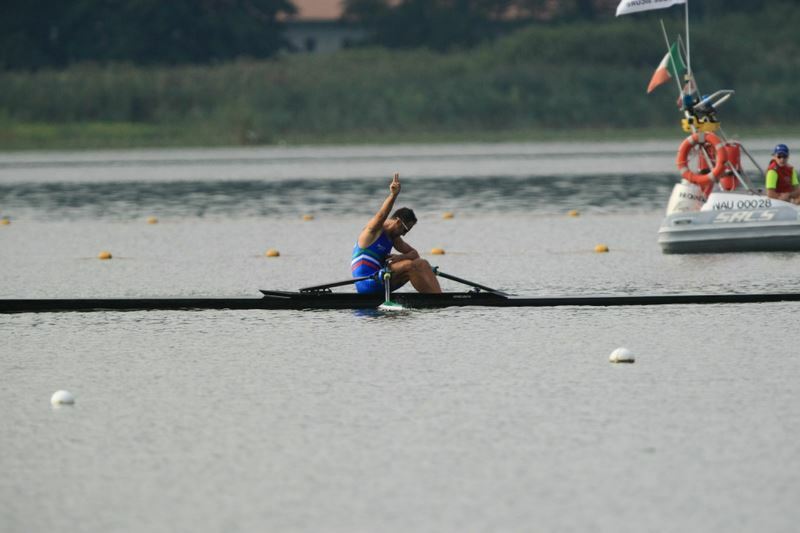 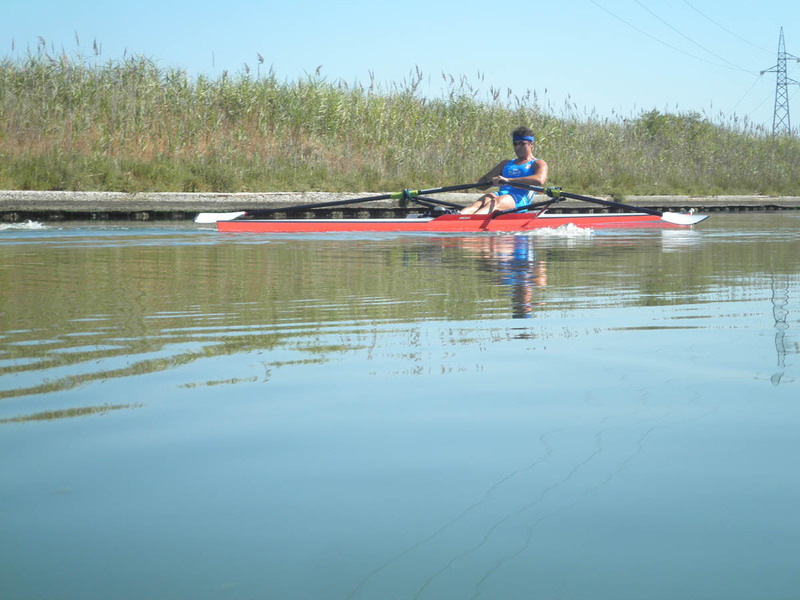 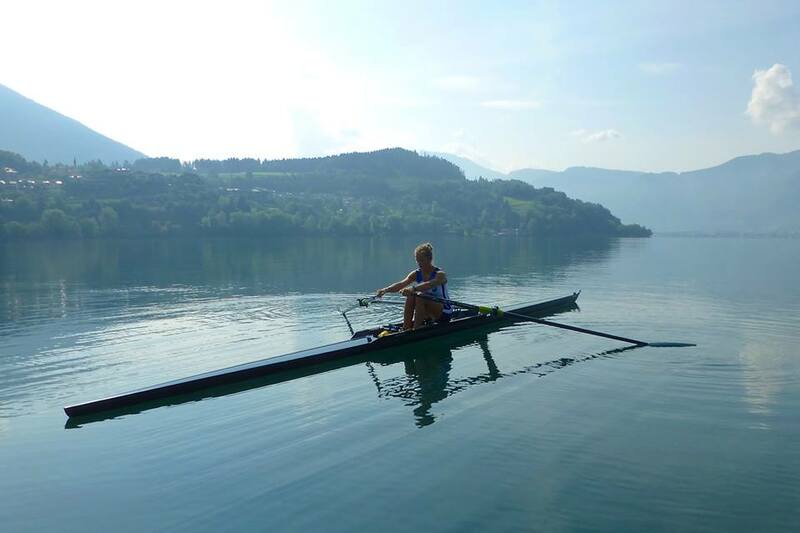 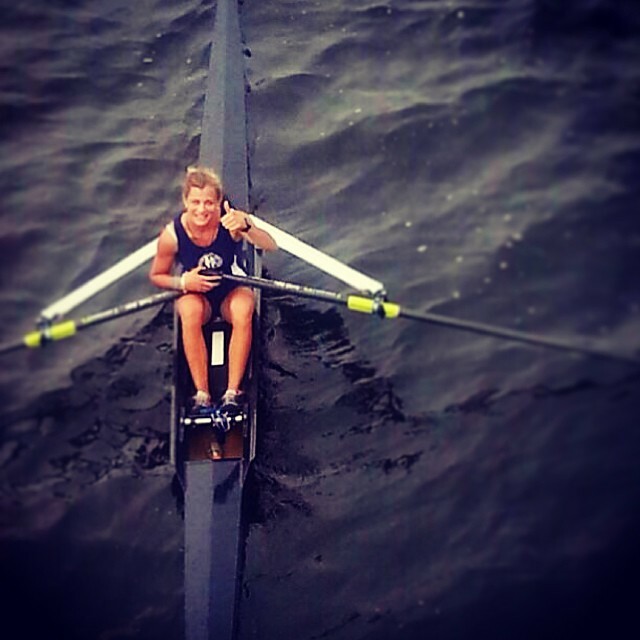 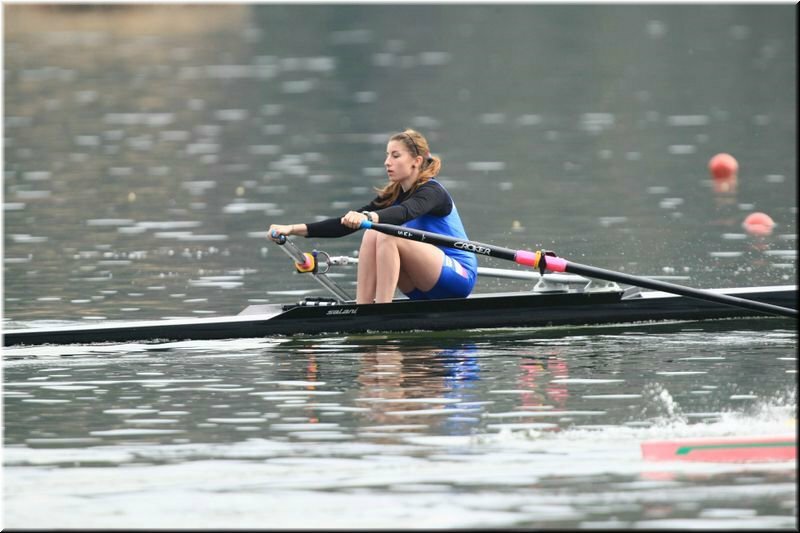 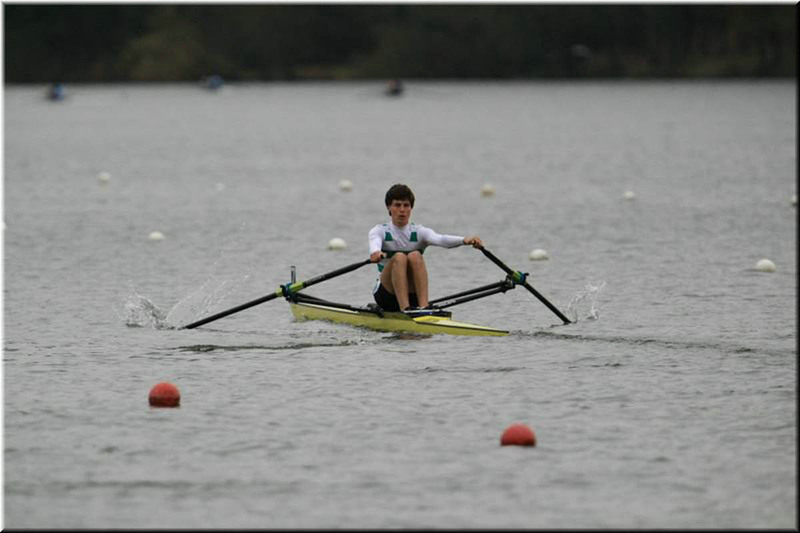 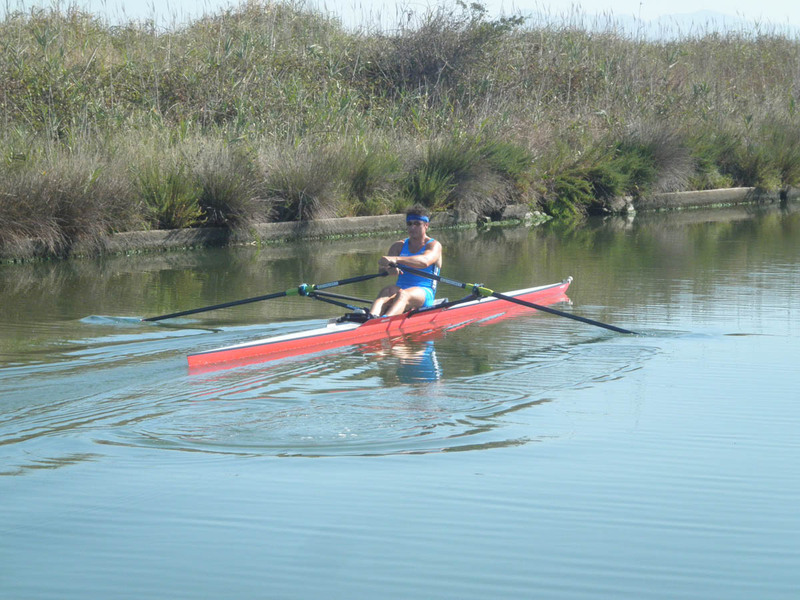 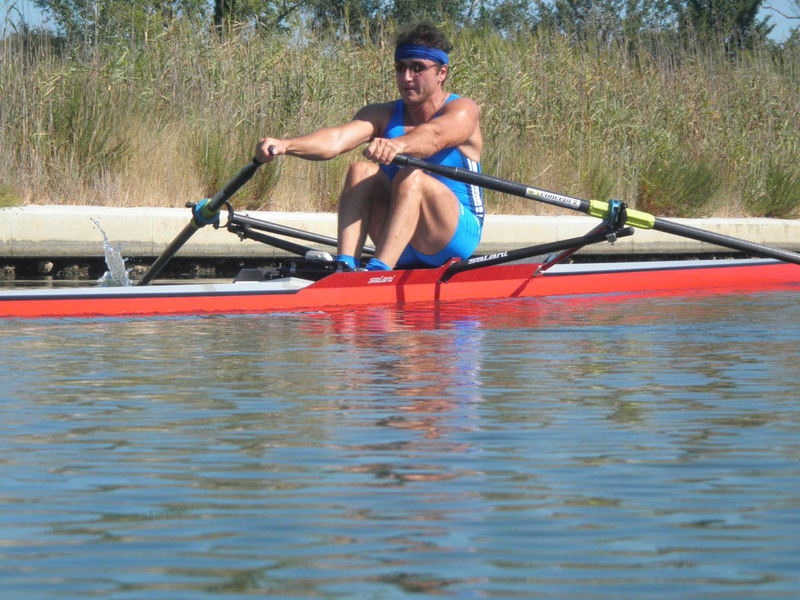 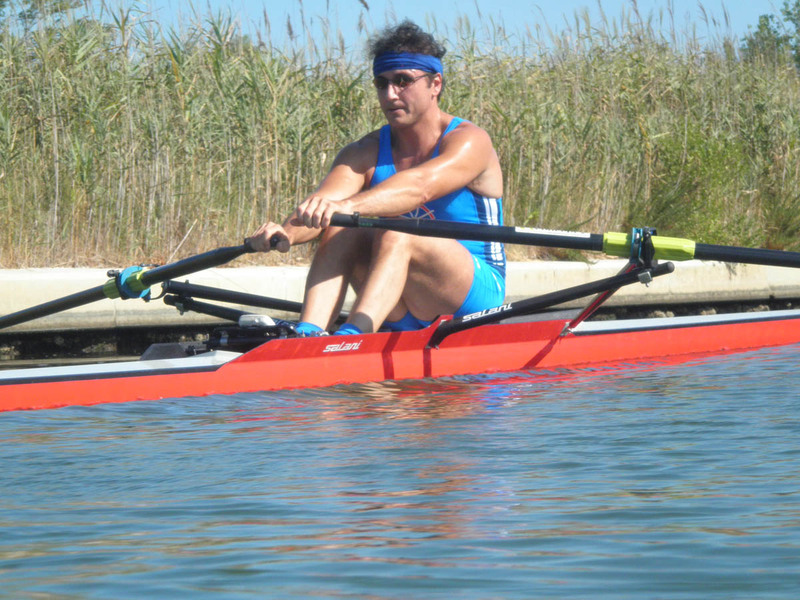 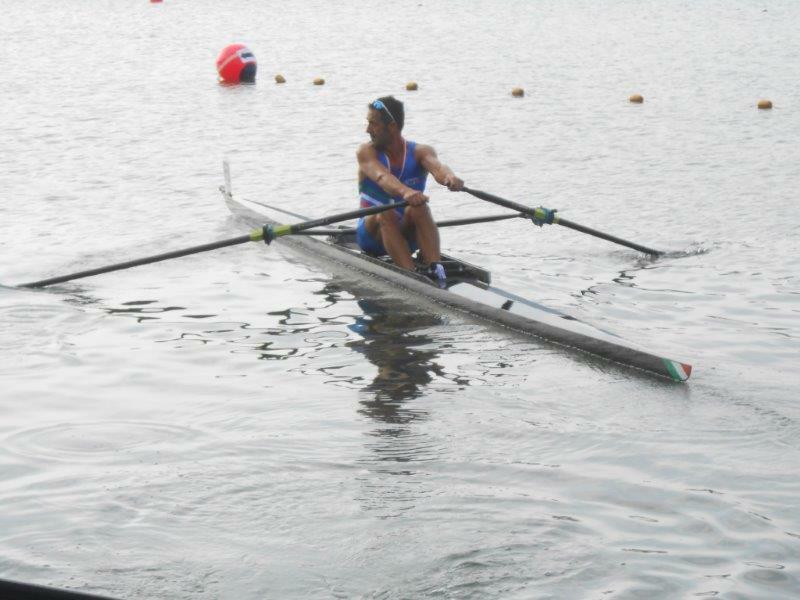 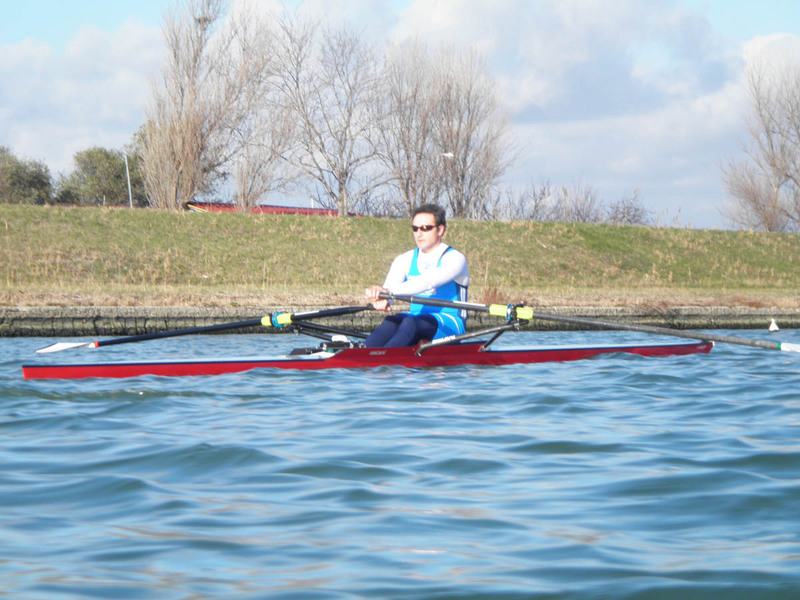 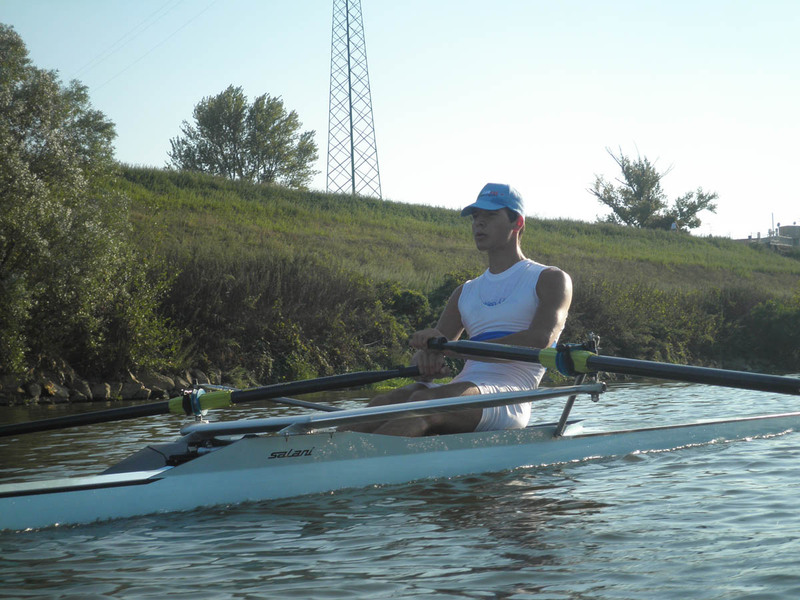 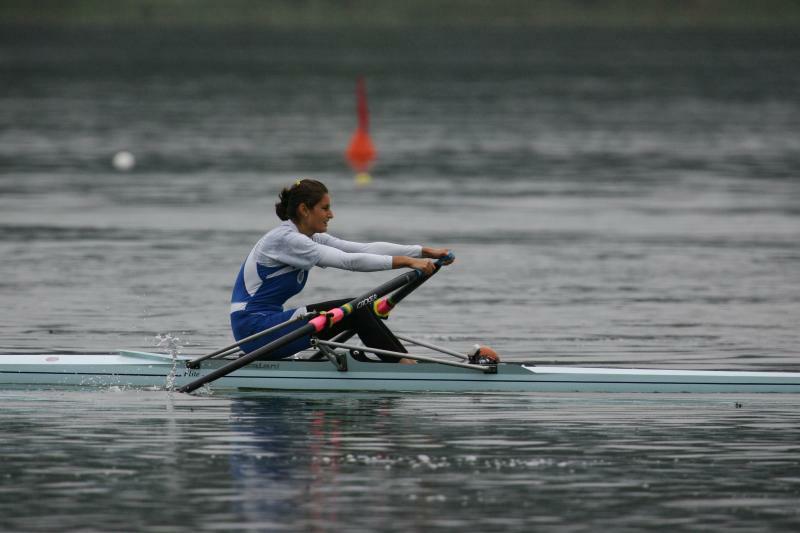 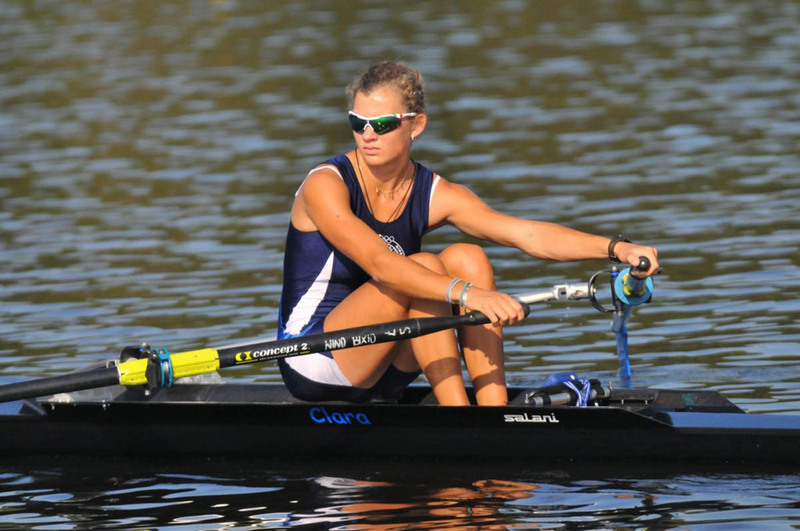 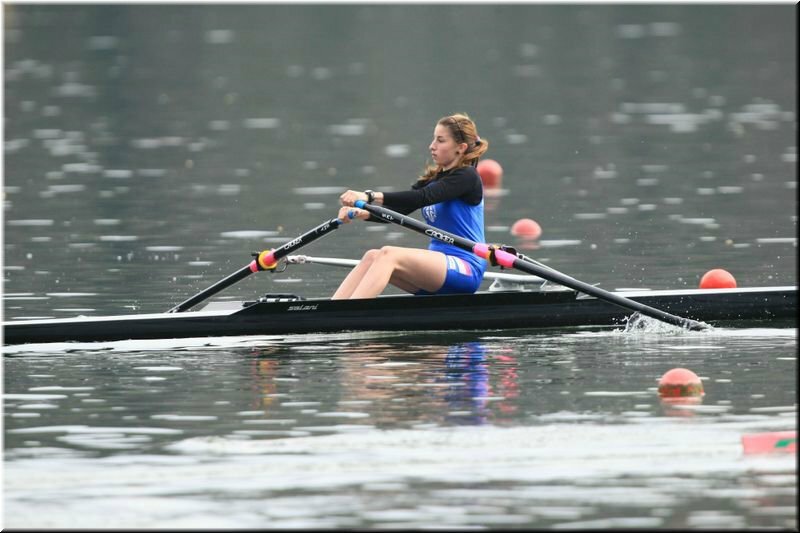 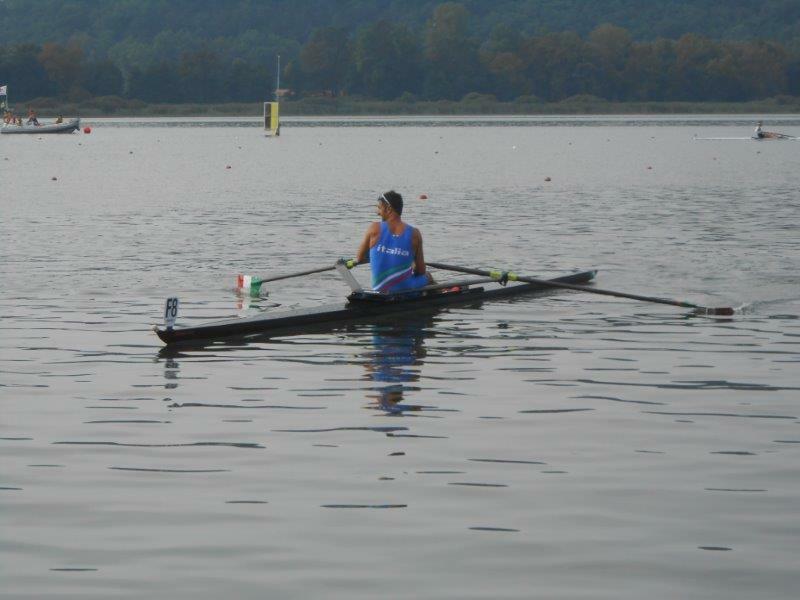 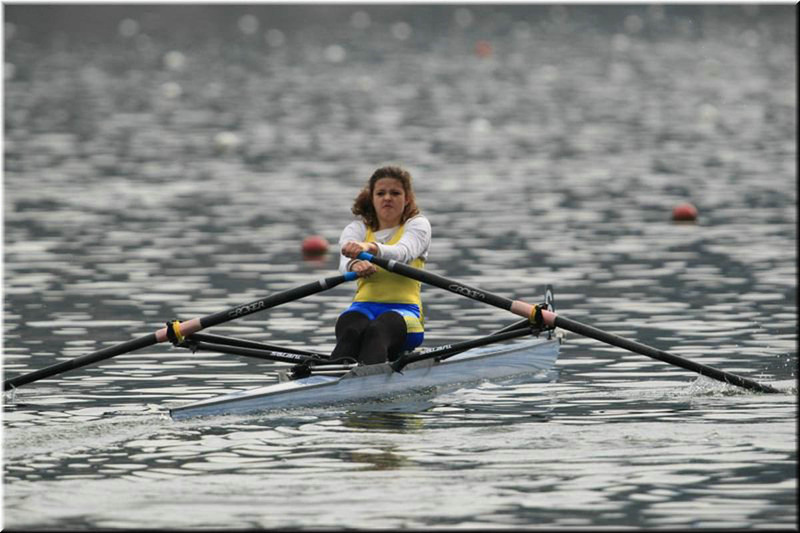 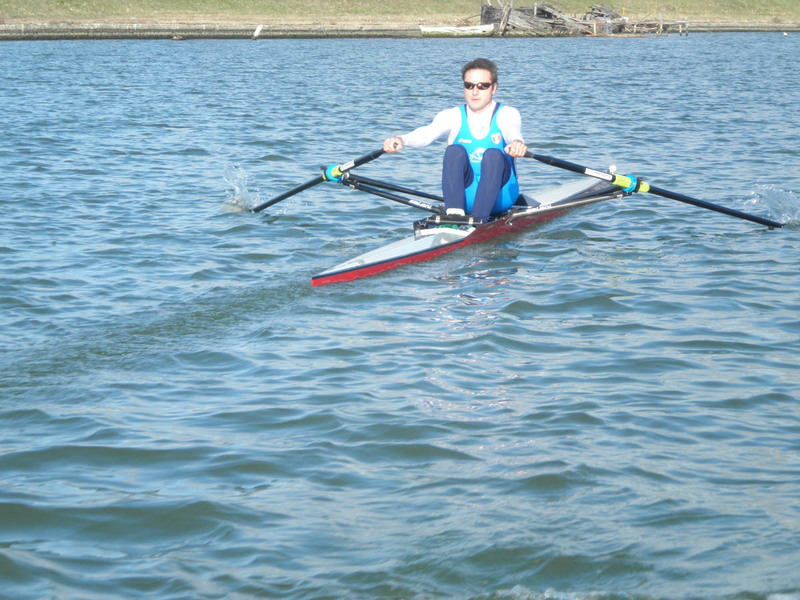 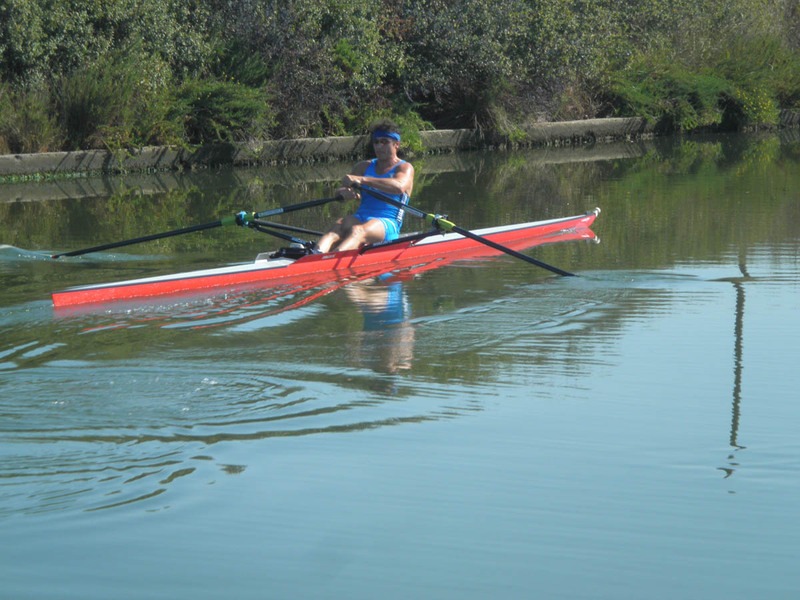 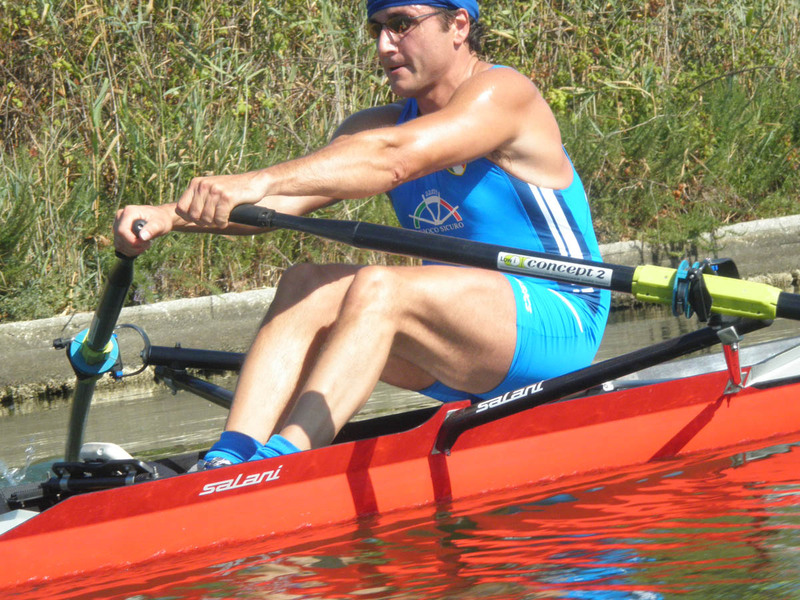 This model distinguish itself for the responsiveness to any change of force applied by the sculler and improve the feeling of connection at the catch without any sacrifice. 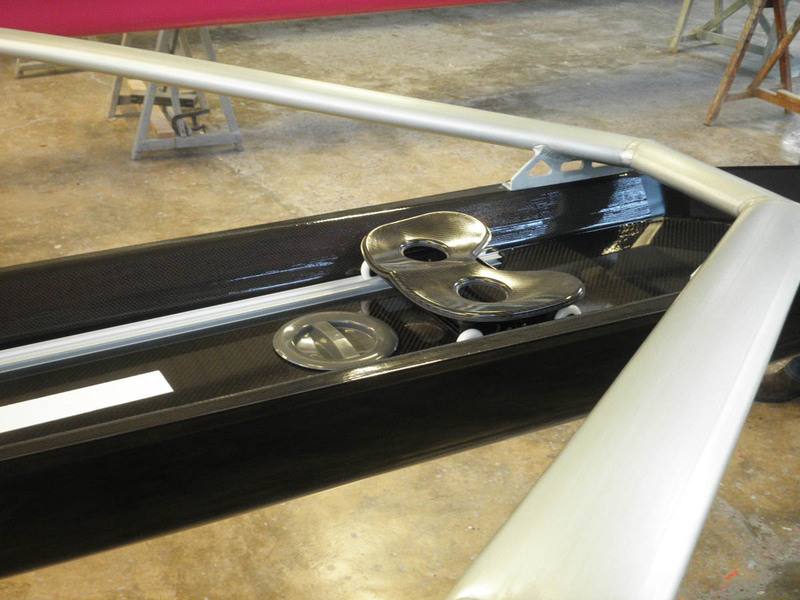 All the hull and deck are worked first with a vacuum to assure the complete bond between the carbon fiber layers and the honeycomb and then “cured” in a autoclave to insure many years of stiffness and performance. 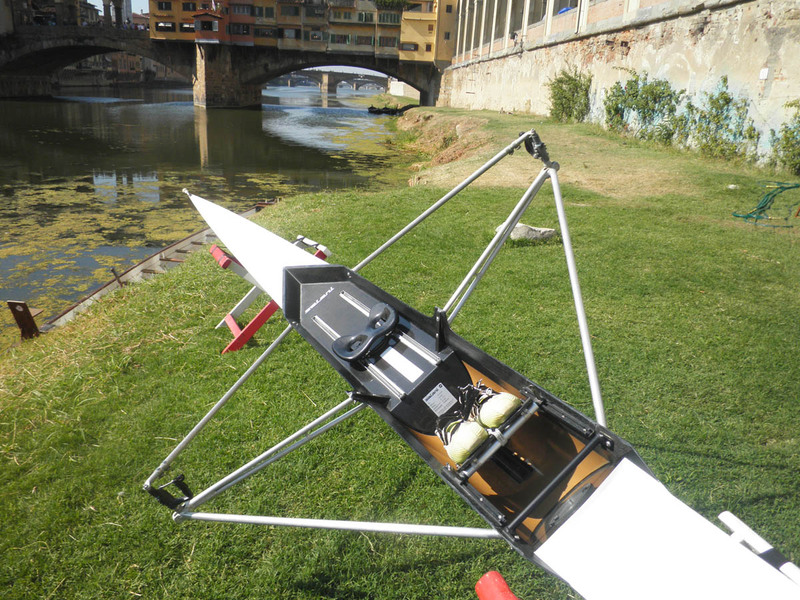 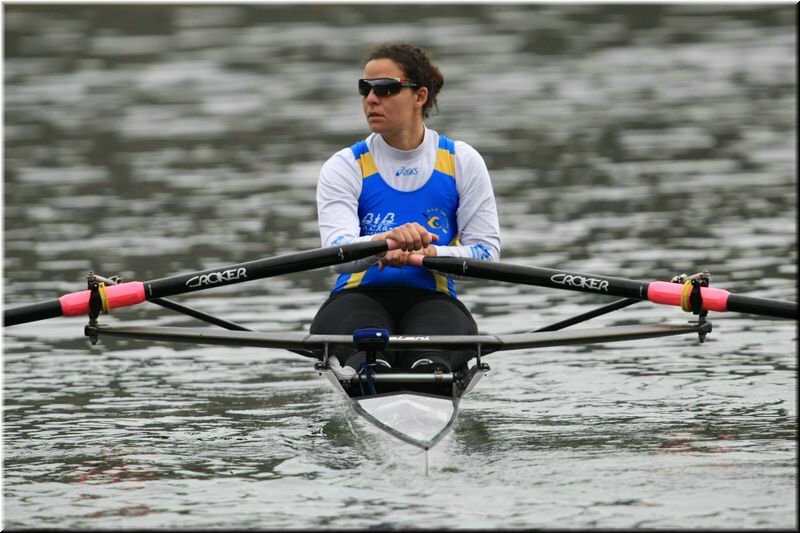 The Wing series sculls have an anodized aluminum wing rigger placed at the stern of the sculler. 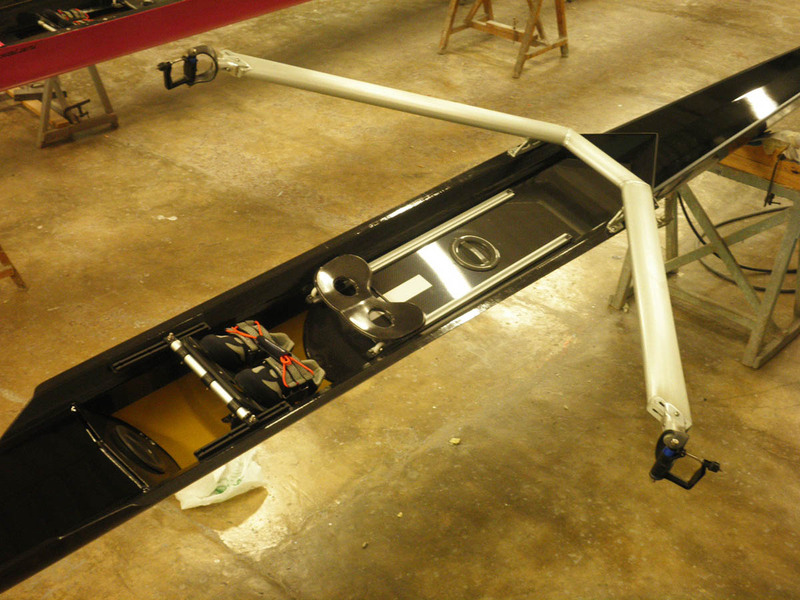 Wing rigger allow for a much more spacious cockpit since they do not need rib to reinforce the gunnels. 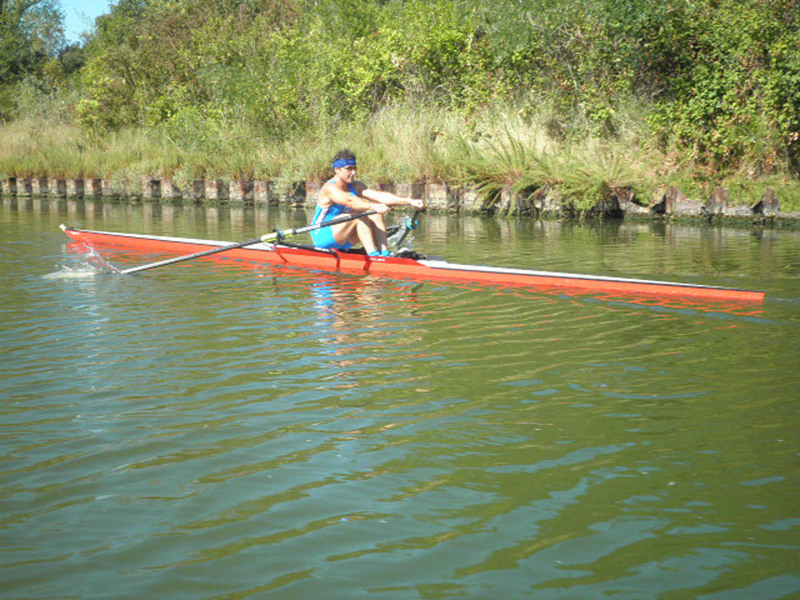 They also allow for more clearance from the water avoiding that wake will hit the rigger when in rough water. 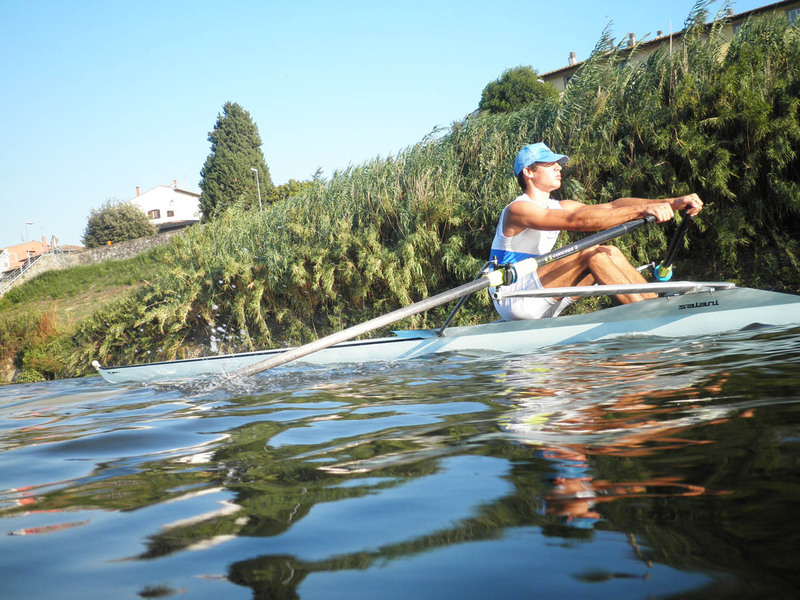 Focusing all the stress in one point (the wing rigger) inspire confidence and a feeling of connection with the water. 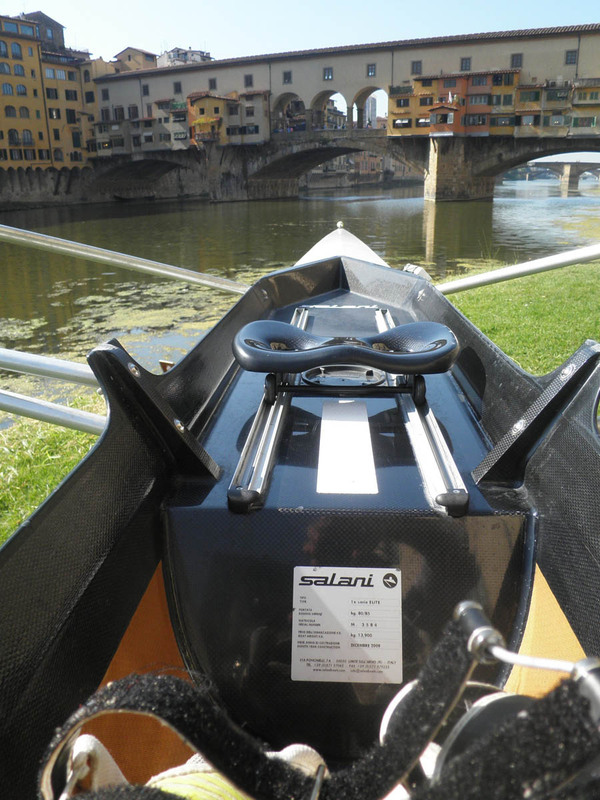 The structure of these boats is make with high quality Carbon Fiber and Epoxy resin bonded together in a “sandwich” structure by vacuum and a cured at just the right temperature in our autoclave. 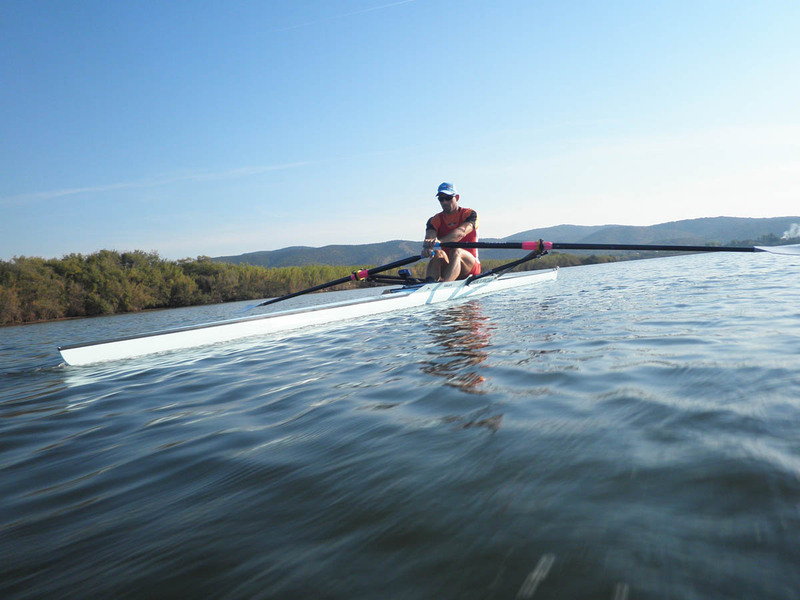 We match our hulls with the highest quality components to guarantee the highest responsiveness and durability through time. 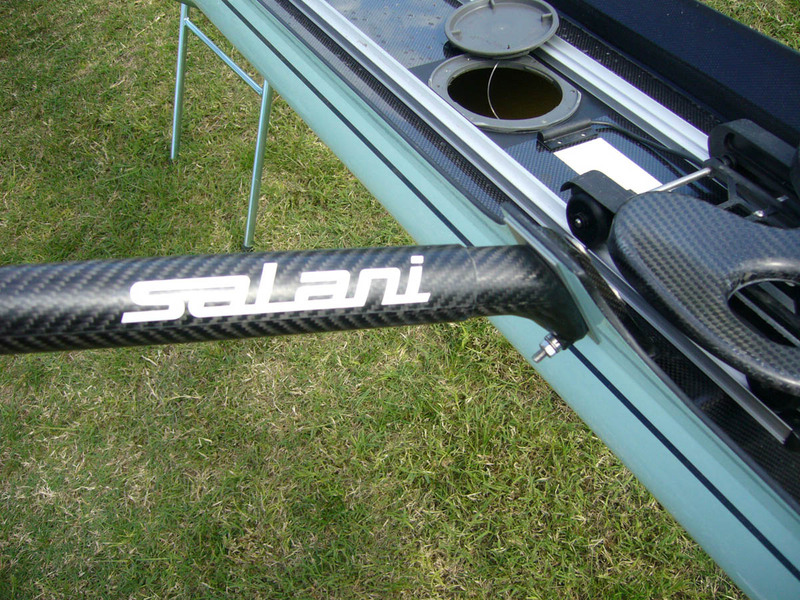 The Carbon Series is our lightest product. 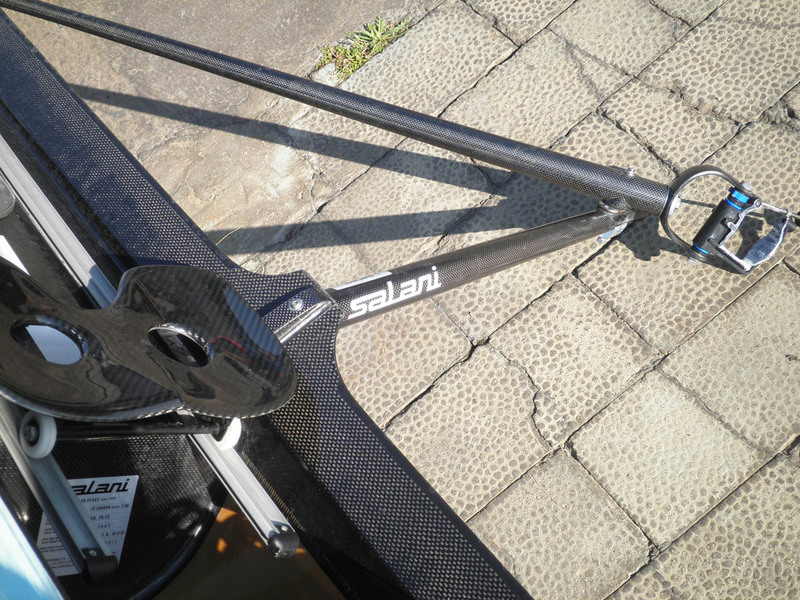 The 2 stays carbon tubular riggers provide the stiffness and guarantee the weight saving demanded by the most demanding athletes. 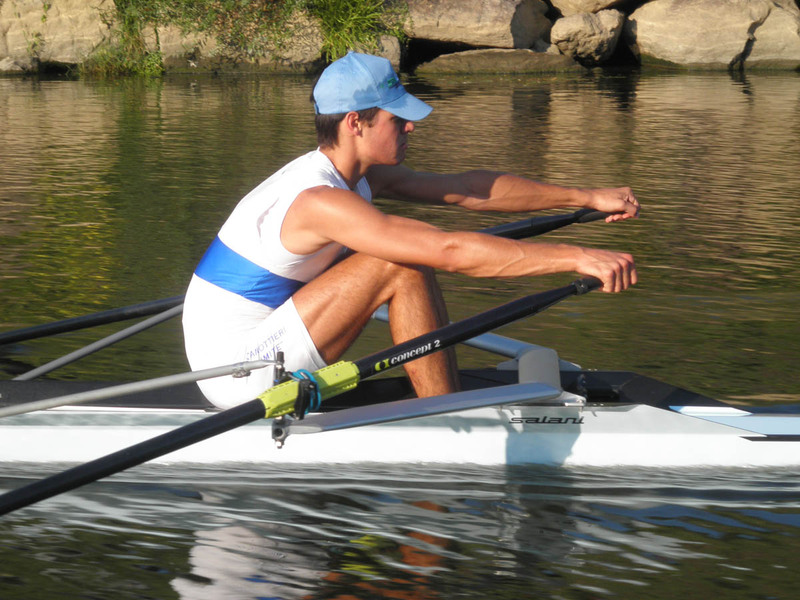 Hulls and covers are produced using carbon fibres, Kevlar textiles and epoxy resins. 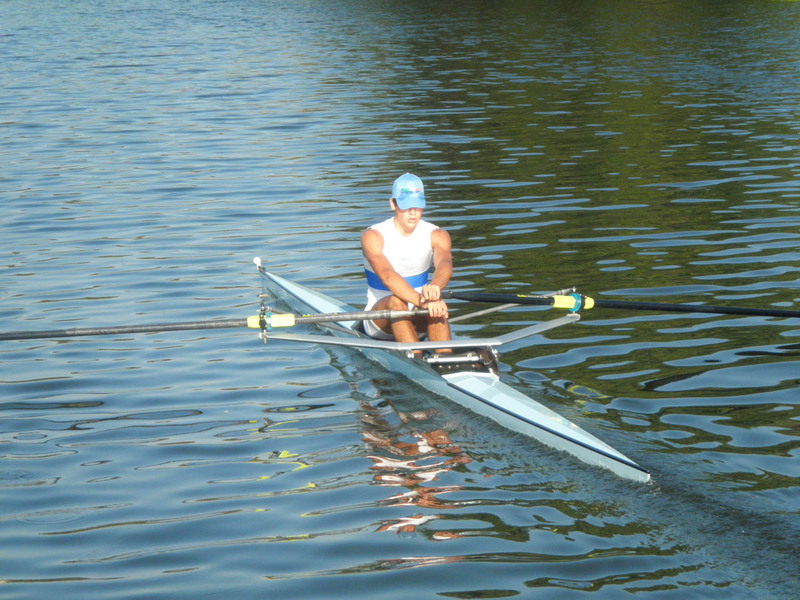 Like the other boats with they are constructed with high quality Carbon Fiber and Epoxy resin bonded together in a “sandwich” structure by vacuum and a cured at just the right temperature in our autoclave, which it guarantee the maximum performance year after year through a meticulous process of construction. 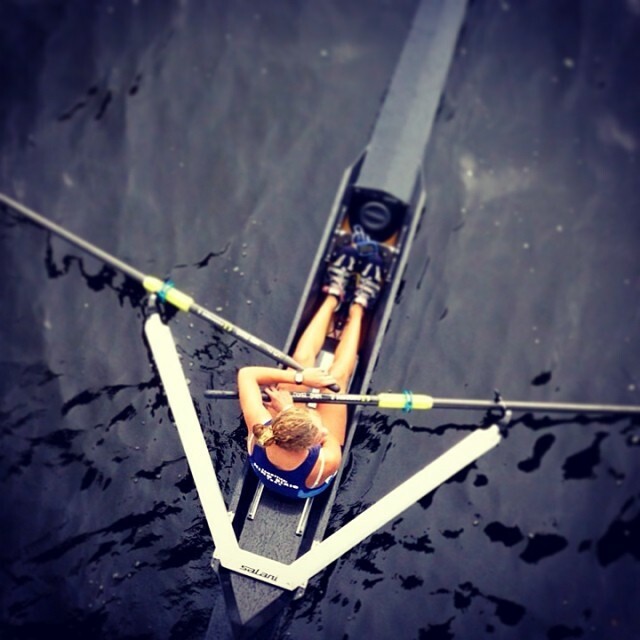 These all carbon shells have been successfully performing for years in many internationals regattas adding to our rich history of competitive rowing. 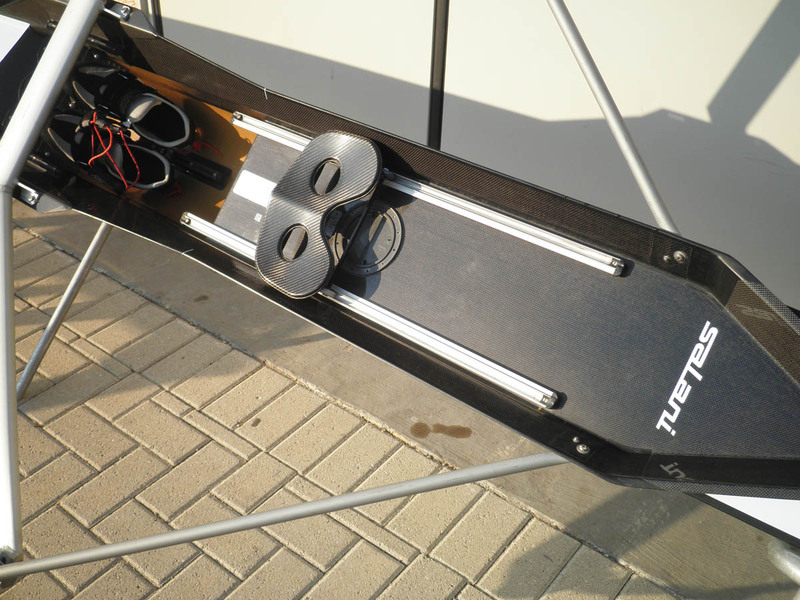 These boats are furnished with anodized aluminium riggers. 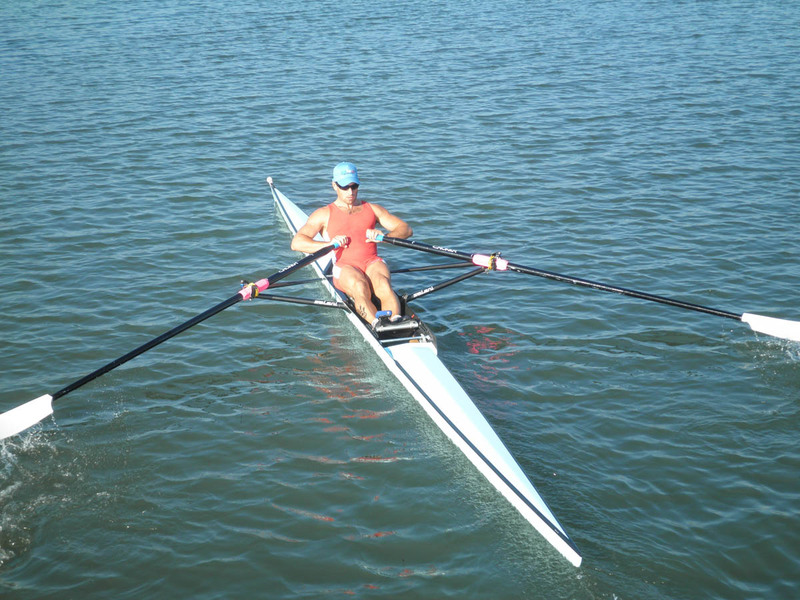 In the hull are situated the shoulders, on which the aluminium rigger is fixed. 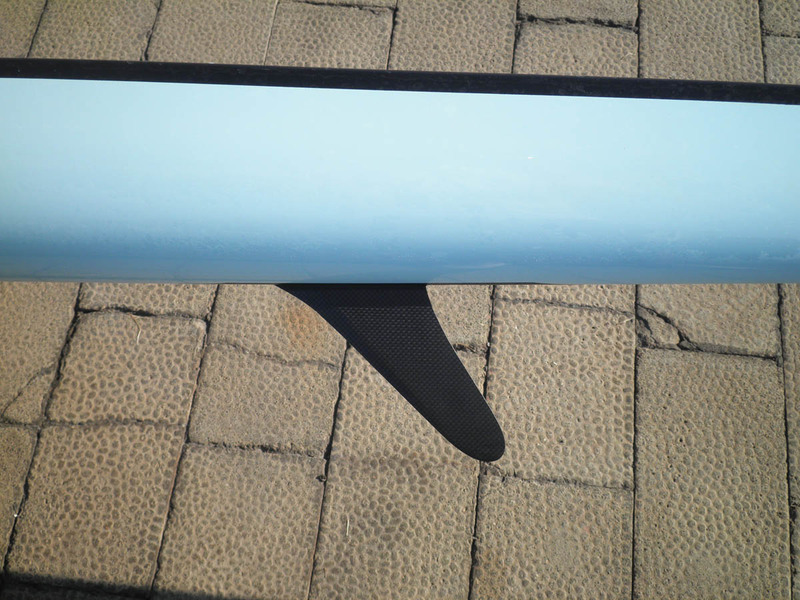 Both are made with carbon fibres, Kevlar textiles and epoxy resins. 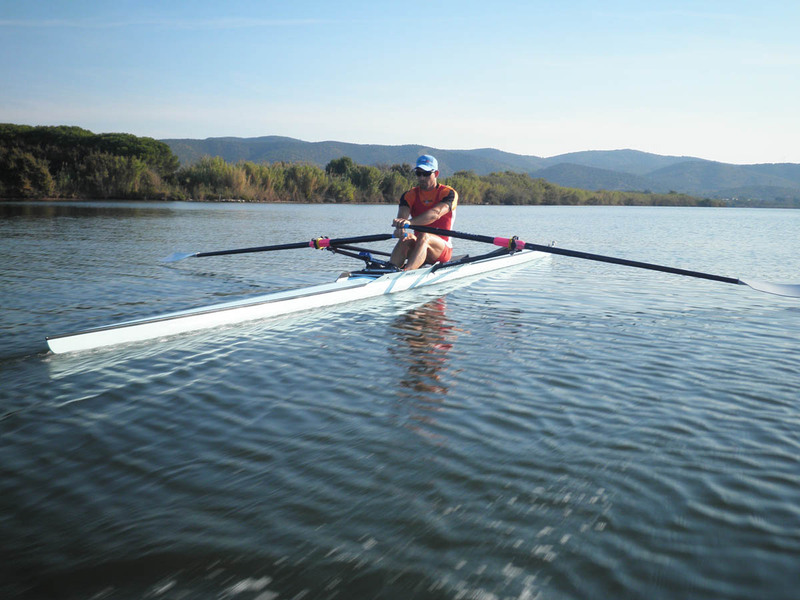 A fantastic relation between lightness and stiffness distinguishes our boats, thanks to the use of “honeycomb” textile, that also guarantees an extra hardiness of the hull. 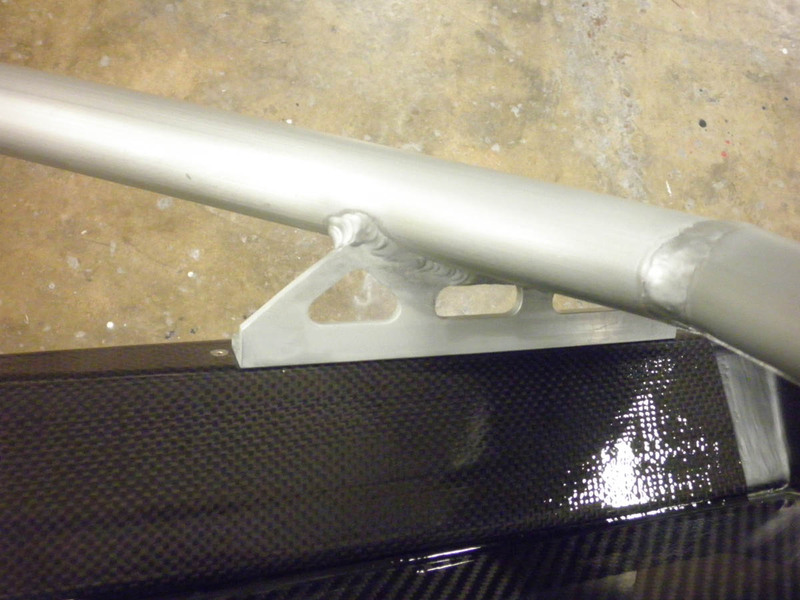 We use epoxy resins, that are often used in aeronautical and automotive fields. 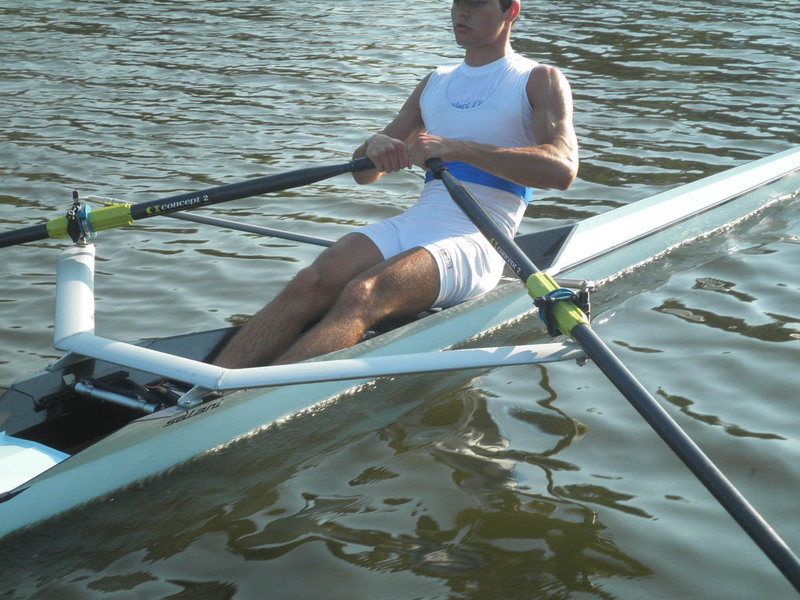 The hull and its components are subjected to catalyst processes (hot process and under vacuum pressure) that provide an excellent result in lightness and stiffness. 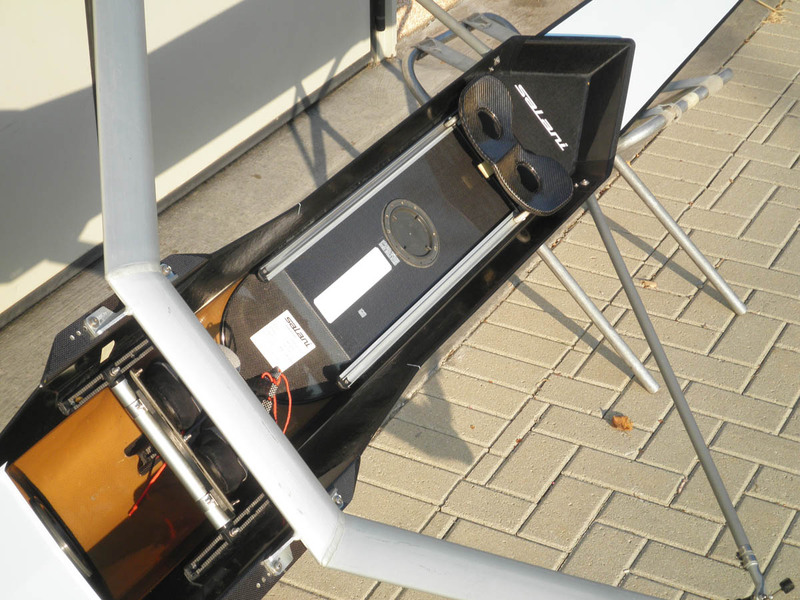 The internal components (ultralight carbon trucks with ball bearing chassis, rowing deck, bulkhead etc) are produced with prepregnated carbon, then cooked in autoclave.